They look lovely and will probably taste delicious but I printed the recipe and go t”6: pages instead of just the recipe. The top of each page was doubled with other parts on the page so I guess I will just have to copy down the recipe by hand. This has happened before when trying to copy your recipes. It does not happen on other sites. These remind me of my mother! 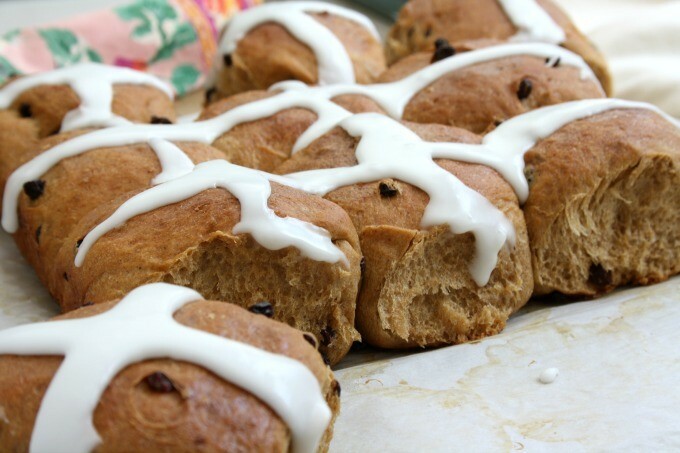 Hot cross buns are one of her most favourite treats. 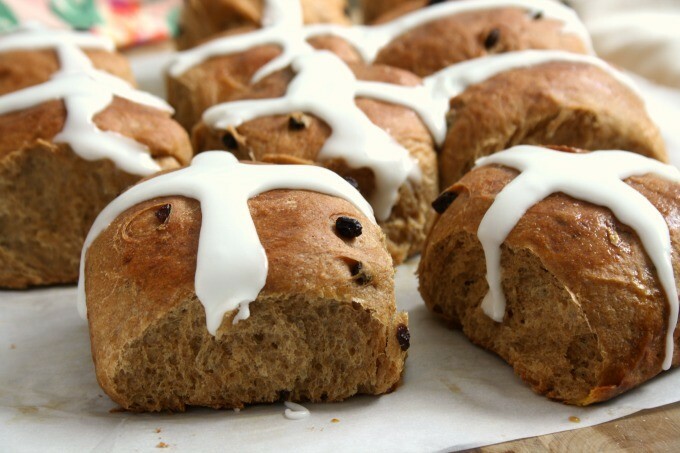 I have strong aversion to currants (my mother loves them), and though I don’t normally like raisins, I don’t mind them in hot cross buns, so that’s how she makes ’em when I’m coming over. That’s love, I say. True love gives up currants. I own a hard back copy of “The Laura Secord Canadian Cookbook”. I have used many recipes from this cookbook. It belonged to my Mom. It as seen better days. I first used it back in high school, maybe 1981. (but my Mom use it before that) I had to come up with a meal for my Home Ec. Class. A full meal with guests. All of the recipes came from this cook book. 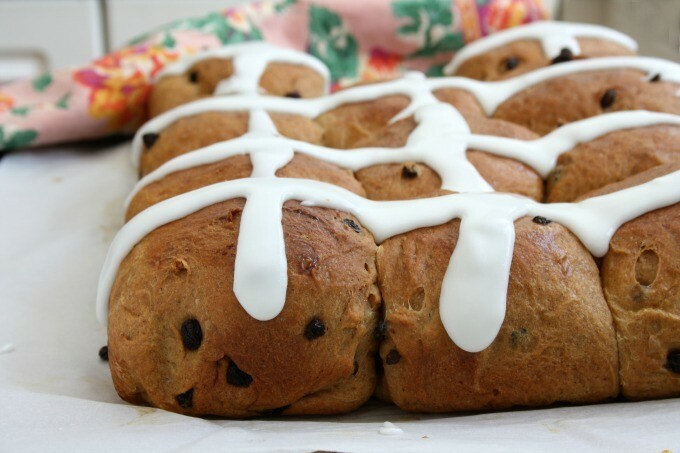 I love hot cross buns and will add your recipe to my own binder book of recipes. I also take favourite recipes two or three or even 4 and use the best part of them to make my new favourite. I use Molasses. It is a staple in my cupboard. 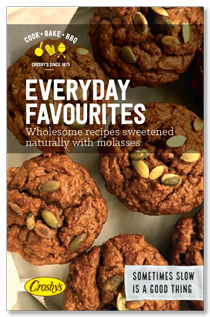 Hi Lynda, Lucky you to have a hard back copy of the Laura Secord cookbook. I have lost both the front and back covers off of my spiral bound copy. It is still the most-used cookbook on my shelf. I have an old Crosby’s Cookbook that belonged to my mother. It’s battered with age and the pages have turned brown, but I use it constantly.  Also love your recipes and look forward to new ones to try. 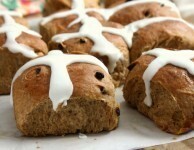 Just copied the Molasses Hot Cross Buns for Good Friday and I know they will be a big hit. Bridget, Just wanted to tell you that I really appreciate you sending me such delicious recipes. 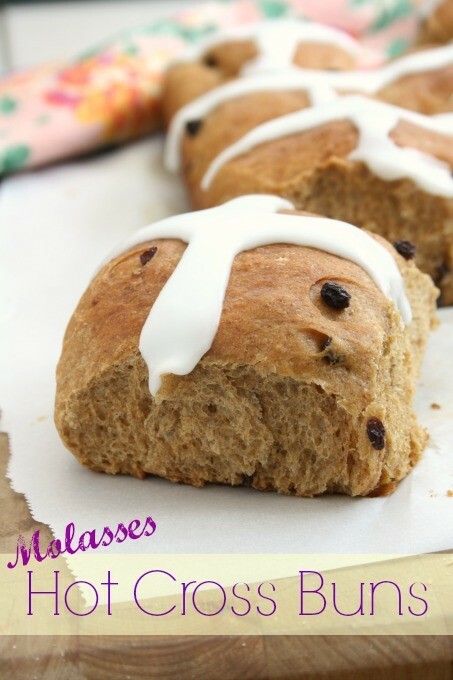 Can’t wait to bake the Molasses Hot Cross Buns. Will the recipe still work if doubled? Need to make enough to feed a large family!!! I just doubled it and it worked just fine! 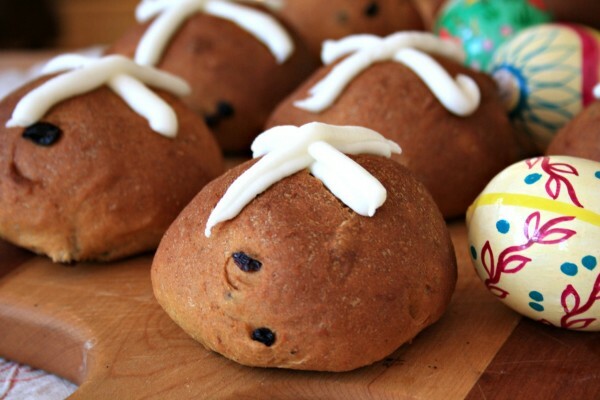 My daughter loathes currants and raisins so I used candied peel instead. Yummmmm?